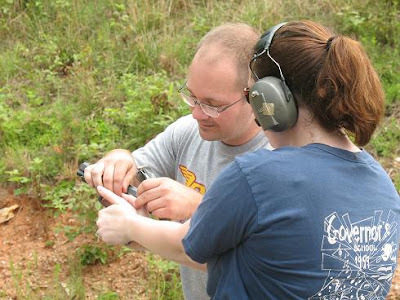 Ok, so Ana didn't get a gun, but her mommie and daddy spent part of their weekend shooting guns! 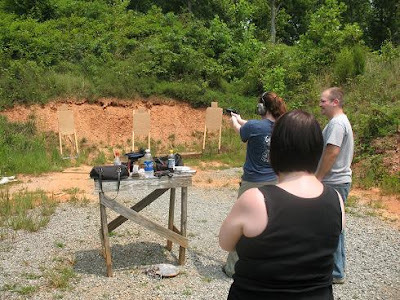 Kenney and I went with a couple of our friends to Cavalier, a shooting range near Louisa County. 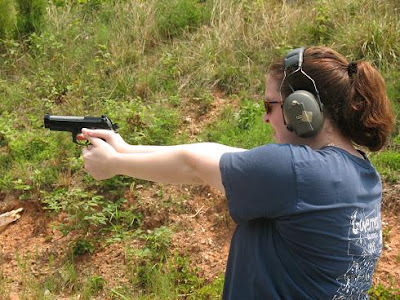 Neither of us had shot a gun before, and we both shot a Glock 9mm Luger and a Beretta 9mm, both semi-automatic pistols. 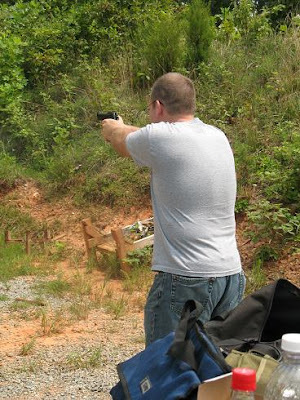 I prefer the Glock after doing quite a few rounds with both guns- there is just something about the required concentration and the less sensitive trigger. I like the challenge of precision. 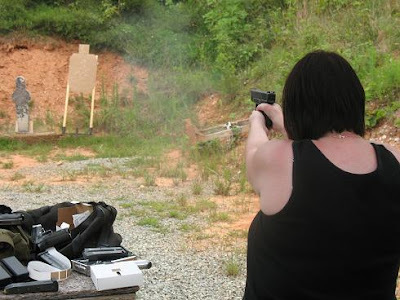 Trina shared with me that she actually has a Taurus, so I look forward to trying to schedule some time for all of us to go to the range. 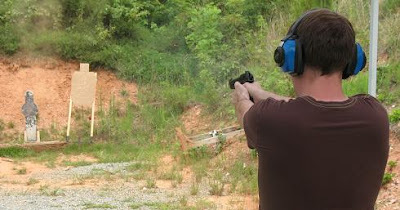 This is me shooting at a few targets with Andy keeping an eye on me (I am sure mostly for safety but also for technique). Our friend Melissa takes a turn. Andy was just amazing to watch- he was able to shoot so quickly and accurately! !